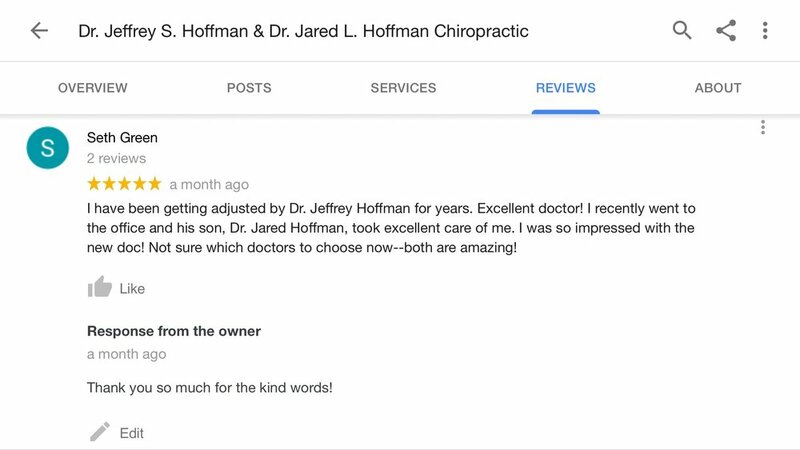 We make sure all our new patients feel welcomed and taken care of. We deal with the cause, treatment and prevention of diseases related to the nervous system. Our office has extensive experience with auto accident and sport related injuries, and overall spine health. We provide a full range of services and preventive maintenance for our patients whether it is routine spinal checkups, periodic/preventative exams, fitness, stretching and conditioning to hold your adjustments and improve your health. Please do not hesitate to contact our office with any questions you may have regarding your healthcare. For a shorter time in the waiting room, please fill out the New Patient Form and email it to us before your visit.